Our mind’s association with pictures is a tricky skill that sharp kids can pick up. Picture memory is something that comes naturally to the human brain. We have evolved to associate images to words and vice versa. This is whatFunskool Pictureka Card Game builds upon. The game involves its players, aged 6 years and above, in fun filled picture quests that they have to complete before their rivals do. Failure to do so results in getting out of the game. There are different methods to play this game. It might involve matching similar cards, or associating a letter with the picture and spelling out the word or name of the pictured article before your competitors do. There is no limit to the amount of fun that this game delivers. 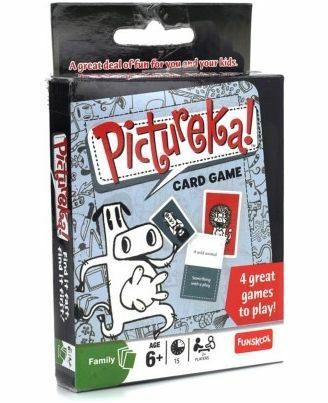 This is an ideal family game that girls and boys can play with their parents or siblings.